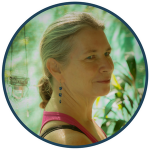 A couple years ago, I spent an incredible month in Bali, adding to my yoga teacher tools. 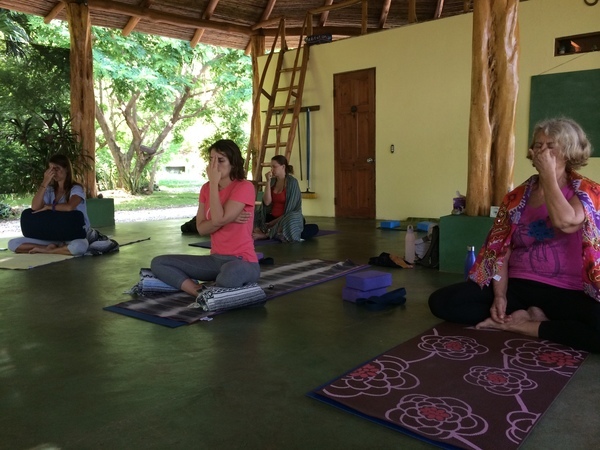 Imagine if you will, spending all day for a month practicing and absorbing teachings of yoga – it was amazing. Plus being in the spiritual center of Bali, Ubud, where each day the sights and sounds of their deep honoring of deities and nature abounded. What did I come back with? A further commitment and deepening of my own practice, along with more ways to share the ancient art and science of yoga with others. 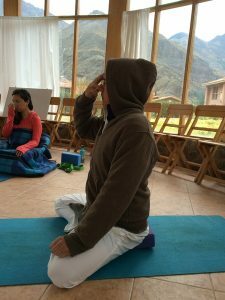 I had particularly chosen the course I did for its emphasis on the breathing practices of yoga, called pranayama, as well as for the advanced meditation techniques. There are a large number of techniques for working with the breath in the yogic tradition, for many different purposes. In looking at what techniques are most generally useful, one clearly stands out. Nadi Shodhana Pranayama, or alternate nostril breathing can be helpful for almost anyone. Looking at the words of Sanskrit: Nadi = subtle energy channel; shodhan = cleansing or purification; and pranayama = breathing extending or breath controlling practice or technique. Doing this practice, even if only for a few minutes can help you feel calmer and release accumulated tension and fatigue. The mind is typically calmer after a few minutes of this practice and your breathing tends to deepen, which can also help move the nervous system from the “fight or flight” response. If you have any stress in your life, you can benefit from this practice. While there are other energetic benefits (the cleansing of the Ida and Pingala nadis), the feeling of calmness and clarity is what most people notice and appreciate. The nice thing is that you can do this technique without any equipment or special clothing! You just need to have a quiet place and a few minutes to yourself. To begin, find a comfortable seated position, either in a chair or on the floor. It is important to have the natural shape of your spine, so do take the time to set yourself up well. You will use one of your hands to alternately close and open one and then the other of your nostrils. With your hand in front of your nose, the traditional position is to either bring your first and second fingers toward your palm or place the tips of those fingers lightly in between your eyebrows. You then use your third finger and thumb for closing the nostrils. Close your eyes, and breathe in through both nostrils. Closing the right nostril, breathe out through the left, then breathe in through that same side. On the exhale, close off the left, and breathe out through the right. Breathe in through the right, and switch again on your exhale. Continue in this pattern, alternating the nostril used on the exhale. In the morning, you begin with an exhale through the left nostril, in the afternoon and evening, begin with an exhale through the right nostril. Let your breath be smooth and even – it should never feel as though you are struggling for air. If one of your nostrils is completely blocked for any reason, then you won’t be able to do this practice at that time. Wait until you can bring breath in through both nostrils. As with any of the pranayamas, you do not want to battle or fight your way through it! If both your nostrils are open, however, you may still find that your even and smooth inhales and exhales gets disturbed sometimes. Return then to your normal breath for a little while until it stabilizes. Then try again. Especially when you are beginning your practice of Nadi Shodhana, this can happen. If Nadi Shodhana is new to you, begin with breathing in this manner for 3-5 minutes, and then watch within for what effects it brings for you. Gradually increase your time as it is comfortable to 10 minutes or more. Keep aware of what this simple, yet profound practice may bring to you in your life off your mat!